Before receiving treatment with Dr. Cheong, I was concerned about pain. Not only was the treatment painless, I did not feel ANY pain afterwards. I highly recommend Twickenham Dental Care to anyone interested in receiving professional and painless Implants. An effective long-term solution to straightening your teeth and correcting your bite is Orthodontics. Orthodontics is a subspecialty area in dentistry that focuses on aligning and straightening teeth using wires and brackets, applying gentle pressure to the teeth to move them into a particular position. The discipline has advanced over decades and today treatment is a lot faster and more comfortable than it was in the past. If you have always wanted to have your teeth straightened, but have been put off by unsightly metal braces, we can also help. Our virtually invisible braces gently move your teeth into the correct position, giving you a great smile – without anyone knowing that you are wearing them. All our orthodontic treatment is carried out by a registered Orthodontic Specialist, so you know you are receiving the highest quality of care. Patients who have problems with their bite and the way their top and bottom teeth line up against each other are good candidates for orthodontic treatment. Impressions, photos and x-rays are taken at the start of treatment to determine the course of action. 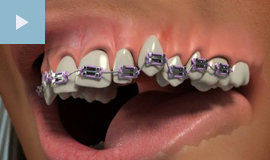 Brackets are bonded to individual teeth and wires clip onto them that gently guide the teeth into position over time. Good oral hygiene habits are essential during treatment and regular visits are required for check-ups and adjustments. 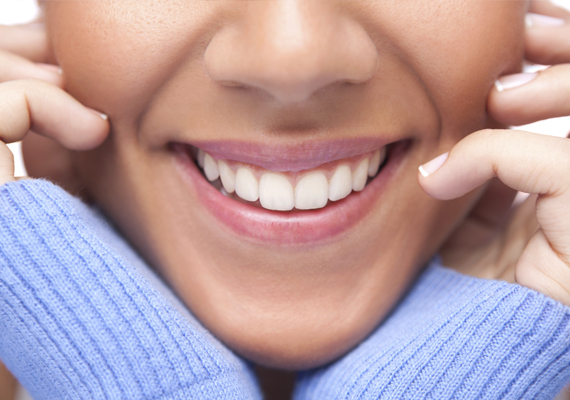 Newer techniques include the invisible brace system called Invisalign which is perfect for adults who don't want to have a fixed brace on their teeth. They are also removable, which means that, unlike with traditional braces, you can still eat whatever you like, and it is still easy to keep your teeth clean and healthy. Call 0208 744 1944 today to book your appointment.